The collaborative and creative minds that bring Outsorcery to life. A highly talented creative director who can interpret a brand personality and breath life into it across all aspects of design. Importantly he also has his finger firmly on the pulse of the pragmatic needs of budget and timescales. Completely unflappable and resilient to the pressures of tight deadlines. In his spare time, Jay enjoys spending time with his family and tinkering with his bikes, pushing his passion for bigger sportives. Likes: Classic Cars, Road Cycling, A big fat juicy burger. The linchpin of the team, who always delivers and runs the studio like clockwork. 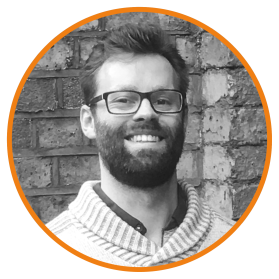 Luke’s talents lie in his ability to interpret any brand personality/framework and implement against the day to day deliverables across all creative medias. He polices all elements to ensure they stay on brand, maintaining consistency across the board. When not at work, he is down the Arches climbing walls, cycling or playing the bass guitar. Likes: Bass guitars, Theatre and awesome Craft Beer/Ale. Don't forget the pie! 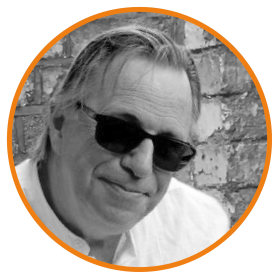 With over 45 years in the creative industry, Martin's experience is secone to none. 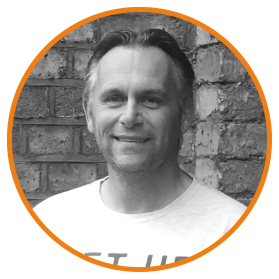 From Studio manager to mock-up guru, Martin has seen and done it all and provides Outsorcery with a very safe a sure pair of hands. Martin specialises in one-off bespoke high end packaging mock-ups ranging from a lip stick to a 15ft square cube!! When he’s not locked away in his workshop he spends his spare time tinkering with his extensive watch/clock collection or enjoying the great outdoors in his camper van or 60’s Mustang. Likes: Classic Cars, Antiques, Classic Rock and getting stuck into things!